Filling up my cup: High Five for Friday-Turtles and Thrifting and Shopping, Oh My! 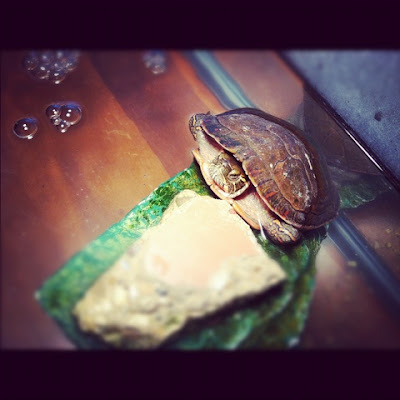 High Five for Friday-Turtles and Thrifting and Shopping, Oh My! It's that time of the week again....HIGH FIVE for FRIDAY! Love that. 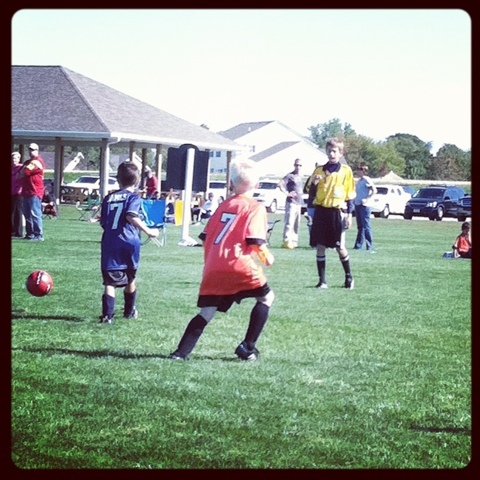 We are knee deep in soccer season around here....Mr. Man (the orange #7) is doing an awesome job. I love that he picked #7 for his jersey cause he's 7. He likes things to make sense and for the universe to tie together neatly. Just like his mama. I snagged this adorable Star Print Cotton Trench from Ann Taylor Loft last month and it's finally gotten cool enough to wear it. I adore it! It's so cute and fits so nicely. It looks way more expensive than it was, I think. There are limited sizes left but they are an additional 40% off at the moment if you're interested. You'll need to click the link to see the fabric close up-I know this image is not so hot. I would have taken my own picture wearing it but I haven't showered yet and I'm not so hot at the moment either and no one wants to see that. Trust me. 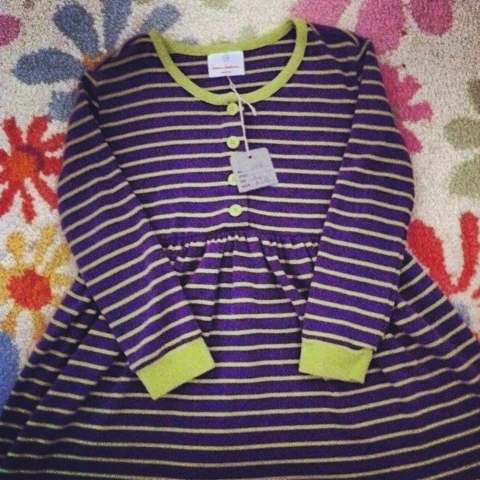 I stopped by a big used children's clothing sale at a local church this morning on a whim and nabbed a bunch of great finds, including this like new Hanna Andersson play dress for only $5! If you know anything about kids' clothes you know that's a huge score! on Pinterest. What do you think? 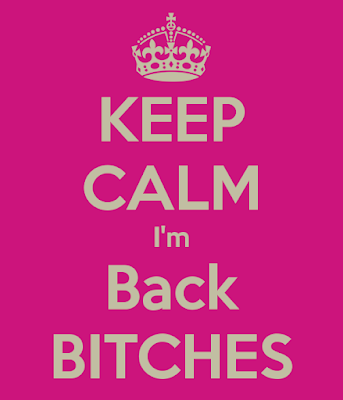 That's it, my lovelies! How did your week go? Comment below and fill me in! i want that striped dress! it is so cute with the knee-high boots! happy friday! Have a Peaceful Sunday Everyone!